Home » National News » Hyderabad: OMG! IndiGo plane with 180 people on board was about to takeoff when vehicle enters runway and...! Hyderabad: OMG! IndiGo plane with 180 people on board was about to takeoff when vehicle enters runway and...! In a incident that can give any a big shock, where life of 180 people was on high risk but the pilots presence of mind saved several innocence live. 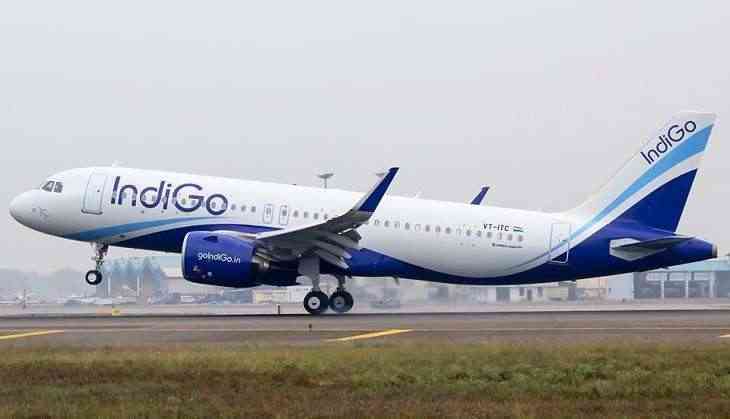 An IndiGo Airlines flight with 80 people on board had a narrow escape in Hyderabad when it was about to takeoff and a vehicle suddenly came on the runway. The vehicle came in front of the plane just as the flight was about to take off. The two pilots of the IndiGo Flight 6e743 -- an Airbus A320 -- saw the vehicle on the runway and applied their plane's emergency brakes to avoid hitting the vehicle and stopped the takeoff. The incident took place at around 6 am on Tuesday morning at Hyderabad's Rajiv Gandhi International Airport. IndiGo Flight 6e743 is a daily service between Hyderabad and Goa. A probe has been ordered into the incident.